We'll help you find the right Yacht Charter in Greece! We have yachts and catamarans ready to sail 10 bases across Greece. 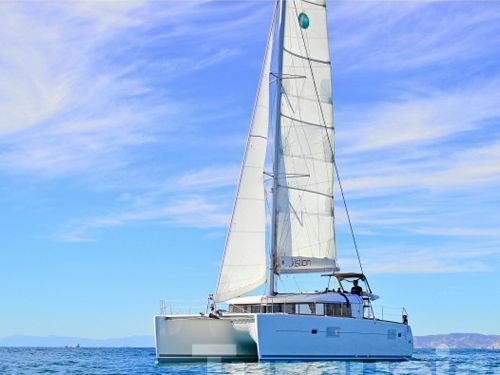 Charter bareboat or skippered yachts or catamarans from our Charter Partners (who we have met, know and trust) and we can guarantee we'll have the best price. Plus we're UK based, so if you have any questions just give us a call or catch us on LiveChat! With clear waters, blue skies, beaches, almost perennial sunshine, and over 1,400 islands to explore, Greece is pretty much perfect as a sailing holiday destination, and Plainsailing.com can make it happen - whether it is a bareboat yacht charter, chartering a catamaran, or simply jumping aboard and leaving the actual sailing to a skipper. Famous for its ancient history as being a global super-power a couple of thousand years ago, and leading the way to civilisation, Greece has a long and glorious history of boats and sailing, so it’s no surprise that they are superbly set up for sail-tourism: each island has a harbour or marina with all the facilities you’ll need, and there are countless anchorages and beautiful bays to stop in – some so far from the beaten path that they don’t have roads or cars yet, and where you’re unlikely to meet any other tourists. Sailing wise, the sea is non-tidal (which reduces the need for complex mathematics to be employed before you get out the sails) and, whilst the wind is unlikely to see you breaking speed records, is generally reliable and consistent enough to keep you above six knots. Arguably the toughest part of sailing in Greece is working out where to sail?! There are six key sets of islands which make up the cruising area, each with hundreds of islands to navigate, meaning that Greece is a country that you can keep coming back year on year for sailing holidays without visiting the same places or ever getting bored. Wherever you go, you’ll encounter pretty old towns, welcoming marinas and jaw dropping scenery. Sporades Islands – [Skiathos Yacht Charter / Volos Yacht Charter] Skiathos and Skyros offer the cleanest and bluest seas known to man, and are famous for having the best beaches in Greece. Which is saying something! One of the main reasons that Greece is super-popular as a sailing destination is the weather – it has beautiful and dependable sunshine almost all year long, and the temperature seldom falls below 10 degrees, and, during the traditional sailing season (April to September), temperatures tend to be over 20 degrees. The sailing season is also blessed with warm sea temperatures, which means that if the sunshine gets too much, you can drop the anchor and dive in! Greece’s long history in sail-tourism (and a brilliant infrastructure as a result) and the fact that there are so many islands to explore in the sunshine would not mean much unless there was actually a chance for sailors to get the sails out – so you’ll be glad to hear that winds are very well suited to sailing, and that even a beginner should be able to get up a good pace of knots in Greece. Ionian Islands (Corfu/Lefkas/Preveza/Kefalonia) – winds are generally light in the morning and only tend to get going once the sun has started shining, and similarly die down shortly after sunset. In May to September, you can expect north-westerly winds coming down the coastline of between force 4 and 5 (11-20 knots) in the afternoons, which should be enough wind to heel over. Argo-Saronic Islands (Athens) – Because the islands are somewhat sheltered by the mainland, you’ll find the lightest winds in Greece in the Argo-saronic – particularly in April and May, though you’ll find the winds are still strong enough to make it worth putting the sails up (but not enough to make you worry about strapping everything in). Cyclades Islands (Lavrio) – because they aren’t protected so much by the mainland, you’ll find the strongest winds in Greece rushing around the Cyclades islands. In summer, you should find decent force 4 or 5 (11-22 knots) northerly winds all day long, although they’ll be strongest in the afternoon when the Meltemi winds (which race from areas of high pressure in Eastern Europe to southern Turkey) can make wind speeds pick up to force 6 or even 7 (23 – 33 knots), before the wind dies down in the evening. The Meltemi are at their strongest in July and August, when they help to take some of the heat out of stifling temperatures. The winds help to make good, challenging sailing conditions, though be prepared to throw in a few reefs. Sporades Islands (Skiathos/Volos) – in April and May, the prevailing wind in the Sporades is a force 3 or 4 (7-16 knots) from the north-east, but things hot up from mid-June when the seasonal Meltemi winds kick in and you can expect winds from the north and north-west with speeds of force 5 (16 – 22 knots) or higher. Wind speeds are at their most exhilarating but challenging in August, and gusts can be particularly strong. Dodecanese Islands (Kos/Rhodes) - arguably the most pleasant and reliable winds in Greece are to be found around the Dodecanese, where they’re usually consistently blowing at force 4 to 5 (11-22 knots) from the north-west all day long. During July and August, the Dodecanese are affected by the summer seasonal Meltimi winds, which means the wind can also arrive from the north. Contrary to other islands of Greece, you’ll often find the wind blowing well after the sun has gone down, so make sure the lines are tight if you don’t want clanking ropes to keep you up all night! 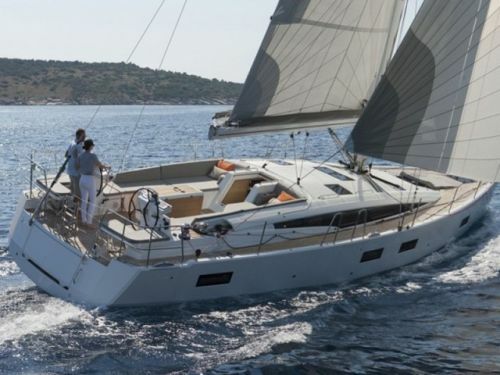 Cost of Chartering a Yacht in Greece? 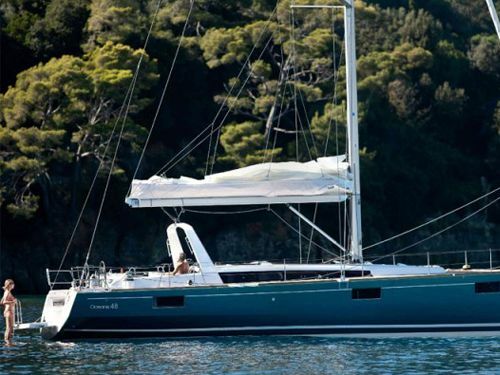 The cost of chartering in Greece varies by what time of the season it is, the length and age of yacht or catamaran you’d like to charter, how long you’d like to charter for, and whether or not you want a skipper. The sailing season proper runs from May to September, though it is possible to charter all year round. In low season, you might be able to charter for short or long periods, but during the peak season (July and August), when demand and prices are their highest, you’ll only be able to charter a yacht for a full week, from Saturday to Saturday.Below is a table which gives week-long bareboat charter prices for a 3 or 4 cabin yacht or a 4 cabin Catamaran. You’ll also need to pay a mandatory end-cleaning fee of about €100 - €200 at the end of your charter (sometimes called a transit log). Most yachts will allow people to sleep in the saloon area, but a week is a long time to be ‘homeless’ on a boat, so the prices listed are for everyone to sleep in a cabin, and you can add in optional wifi for about €50 a week or an outboard motor for about €80 - €100 a week (the prices vary by operator). If you want a skipper, you should add about a further €1,050 for the week (or €150 a day), and don’t forget you’ll need to get an extra cabin on your yacht or catamaran for them to sleep in! In addition, you’ll need to pay a refundable security deposit on a credit card (similar to a car hire) upon check-in. 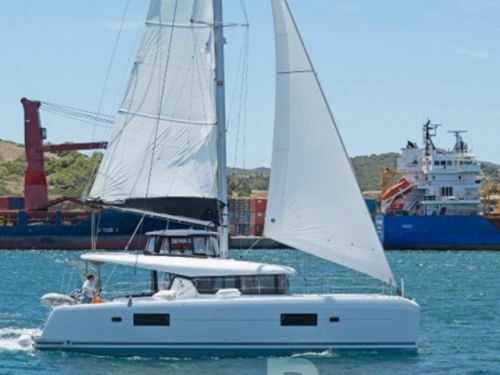 In general, May and September offer the best value for sailors, when charter fees can be less than half the price of chartering out the same boat in the peak season, and the weather is still warm enough to wear t-shirts and flip-flops. Use our search function (on the left-hand side of this page) to find your charter yachts or catamarans available in Greece, and filter the results to find your ideal boat. We have LIVE, real-time availability on all of our yachts and catamarans in Greece, and you can book one in a matter of clicks and with an industry-leading 30% deposit.